We have five contests to draw the winners for today. With only about 3 more weeks until Christmas, let's see who has won some goodies! 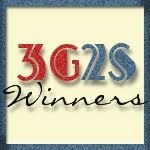 Out of 307 entries, the winner of the ErgoMotion Mouse contest is . . .
Out of 387 entries, the winner of the Dakota's Personalized Gifts contest is . . .
Out of 174 entries, the winner of the TagsMania Plush Tag Toys contest is . . .
Out of 255 entries, the winner of the Funny Bone Readers Books contest is . . .
Out of 146 entries, the winner of The Gallery Collection Gift Bag Ensemble contest is . . .
Congratulations to all our winners! Look for an official email notification coming to your inbox very soon. Please respond within 48 hours to claim your prizes. Remember that I always reply to let you know that I have received your information.